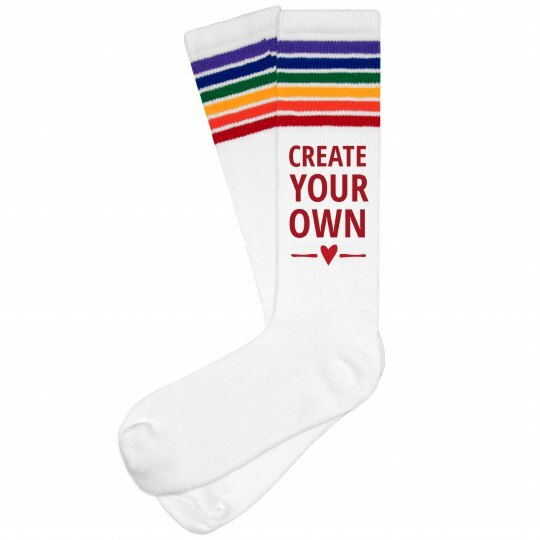 Create your own pair of rainbow socks for a fun event that's coming up! Send your very own unique message, whatever that may be. These socks work great for Sports, holidays, Gay Pride, and so much more!